My car is green and it go fast. My car runs great. I love the wheel. My favorite radio station is programmed into the radio. When I drive sometimes something creaks in the back, but it is okay sometimes. I love driving my car. My car is the best car I could have purchased. I am a good driver. I drive all the time. No problems. Perfect car and I love it. Love the Bose system, but especially the look of the car. Love blind spot detector. And exterior cameras. Just really great features. Wish it didn't take premium fuel but that's ok. 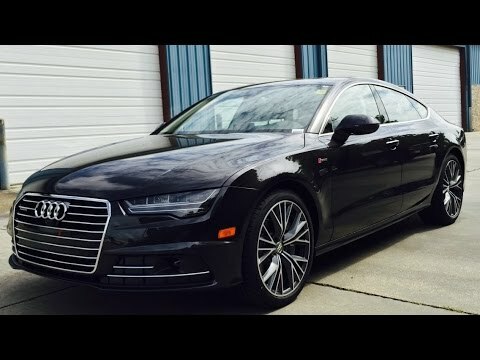 It's my second A7. Audi is best vehicle on the market. My blue Audi and I on the road. Its blue my favorite color. It drives smooth. Low on gas and its dependable. Air conditioning. Factory warranty and the radio is awesome and I am looking forward to a new road trip in it. Because it is a nice car. Cruise control. I get a lot of compliments also.